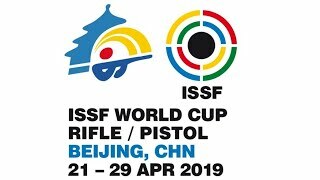 In the sixth and conclusive event of the shooting sport schedule, Kiril Kirov and Vanessa Seeger signed a resounding 10-points-to-3 victory against Manu Bhaker of India and Bezhan Fayzullaev of Tajikistan. The bronze medal went to Dmytro Honta of Ukraine and Andrea Victoria Ibarra Miranda of Mexico. Bulgaria and Germany climbed together atop the podium at the Buenos Aires 2018 Youth Olympic Games, where they secured the gold medal in the 10m Air Pistol Mixed International Team event. 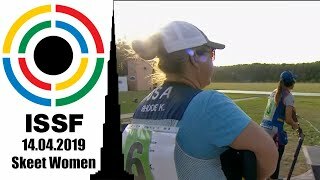 Vanessa Seeger and Kiril Kirov — who respectively placed 10th and 11th in the Air Pistol individual events — dominated the gold medal match, signing a clear win and securing the brightest medal with the score of 10 points to 3. The international couple prevailed over a team composed by India’s Manu Bhaker — gold medalist in the 10m Air Pistol Women event — and Tajikistan’s Bezhan Fayzullaev, who eventually landed in 2nd place and won silver. 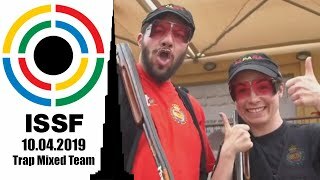 The bronze medal match went in the books with another resounding victory, as Ukraine’s Dmytro Honta and Mexico’s Andrea Victoria Ibarra Miranda beat Iraq’s Fatimah Abbas Waheeb Al-Kaabi and Belgium’s Jerome Son with the score of 10 points to 4. 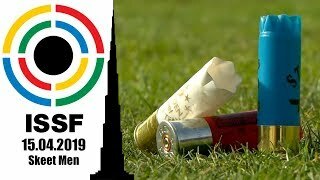 The eight shooters competed in front of a number of authorities, including IOC President Mr. Thomas Bach, ISSF President Mr. Olegario Vazquez Raña and ISSF Secretary General Mr. Franz Schreiber. In the two semifinals that determined the medal matches participants, Bhaker and Fayzullaev beat Honta and Ibarra Miranda by 10 to 3, while Kirov and Seeger bested Al-Kaabi and Son with the score of 10 to 6. 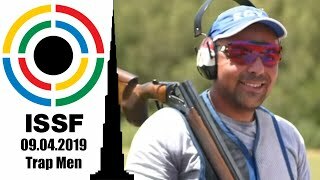 Shooting sport at the Buenos Aires 2018 Youth Olympic Games saw the participation of 80 athletes, representing 58 nations and competing in six YOG events: men’s and women’s 10m Air Rifle, men’s and women’s 10m Air Pistol, 10m Air Rifle Mixed International Team and 10m Air Pistol Mixed International Team.